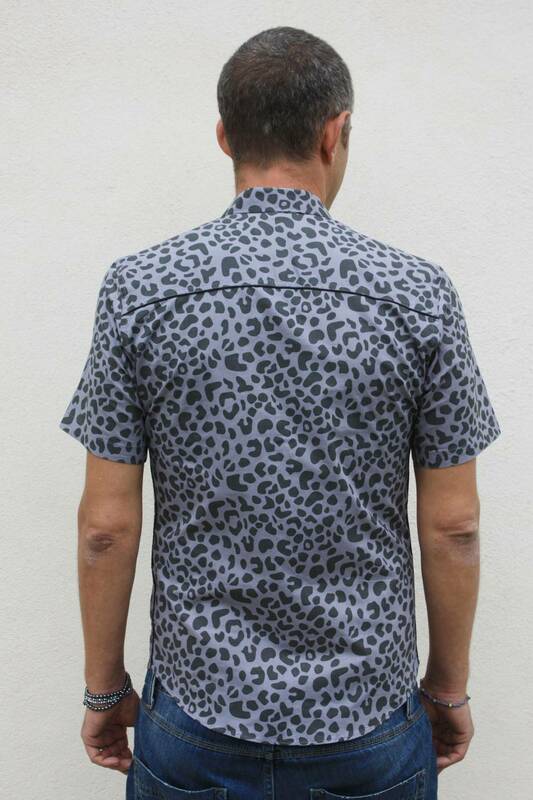 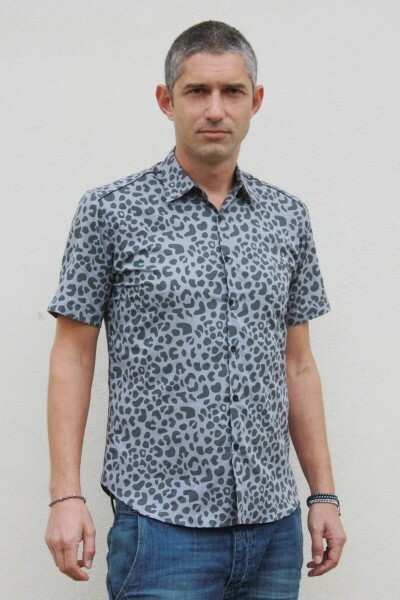 Grey Leopard print collar shirt, short sleeve. 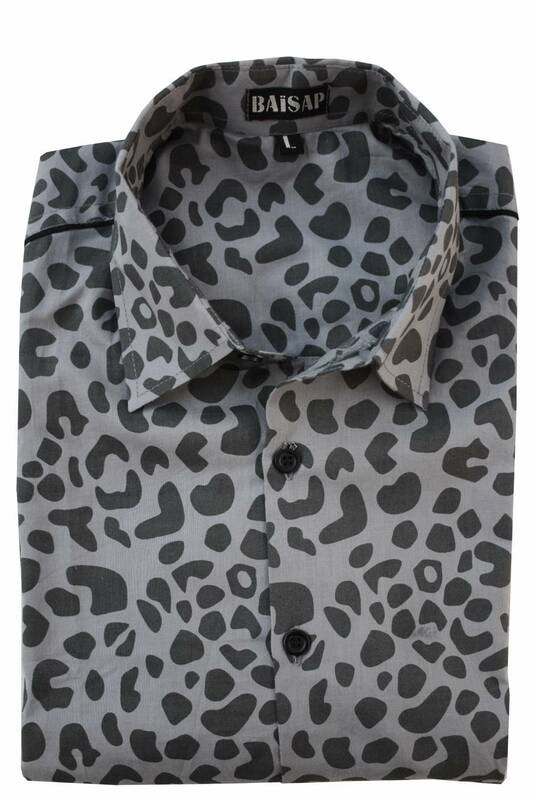 Leopard print cotton, grey, tone on tone. 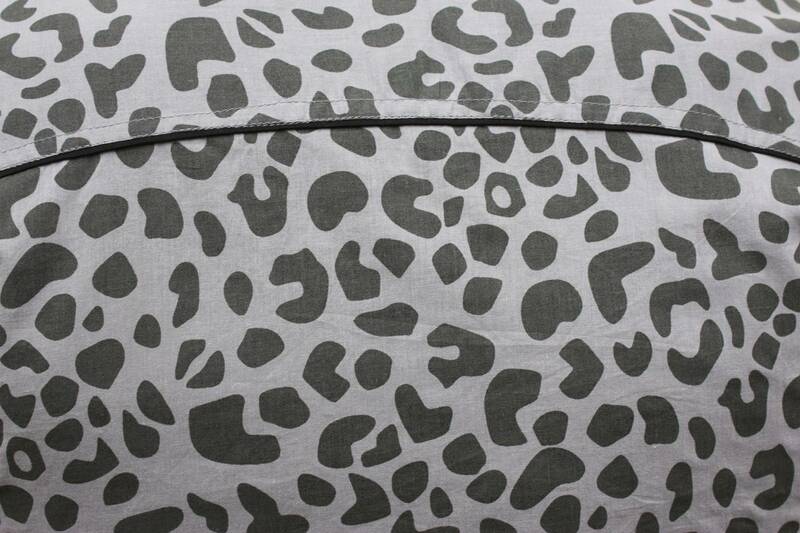 Delivered with a coordinated fabric pouch.